Gathering stones from riverbeds surrounding the Indian city of Chandigarh in 1958, Nek Chand, a local road inspector, began to build what is now the country’s second most popular tourist destination after the Taj Mahal. 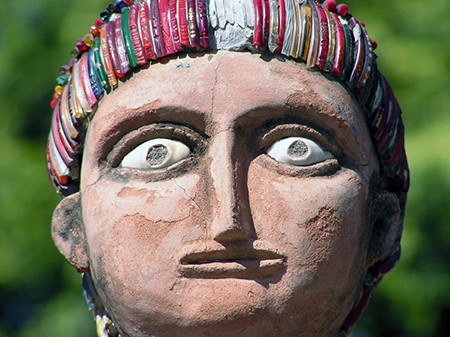 University lecturer and architect, Dr Iain Jackson, is the first to document Nek Chand’s creation – a 25 acre rock garden containing several thousand sculptures, mosaic courtyards, walled paths, deep gorges and interlinking waterfalls. Chandigarh was commissioned following India’s independence in 1947 and was designed as a modern city by world famous architect, Le Corbusier and his team including Jane Drew and Edwin Maxwell Fry – a University of Liverpool graduate. 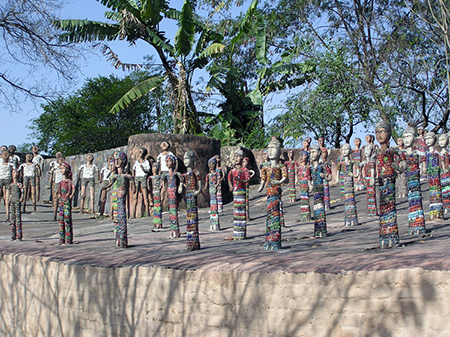 From the remains of the 26 villages that were destroyed to make way for the city, Nek Chand salvaged objects such as ceramics, light bulbs and broken bangles, to construct sculptures at the edge of the jungle that surrounded the new city. 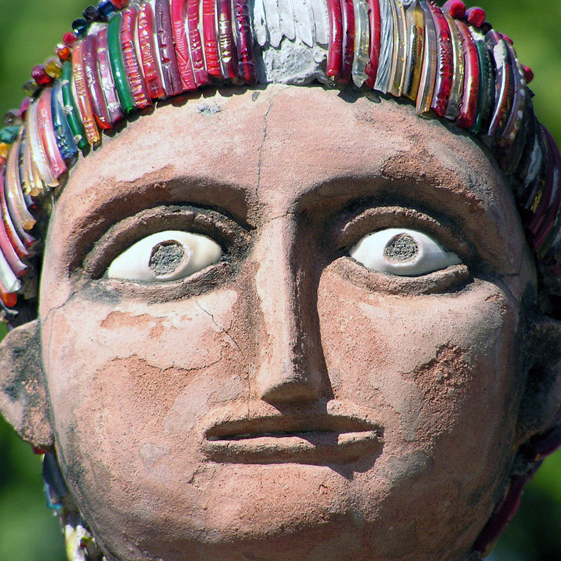 Dr Iain Jackson said: “The garden Nek Chand created is a remarkable achievement and captures the culture and heritage of an area that would have been lost to future generations had he not dedicated his life to saving it in such an engaging and fascinating way. The research included virtual reality models and films conveying the spatial qualities of the garden. Dr Jackson is also looking at the meaning behind some of the sculptures, as well as investigating the impact of Liverpool graduate Maxwell Fry and architect, Jane Drew on the modern architecture of India. Dr Jackson is now working on a new project with Professor Nandini Das in the School of English, funded by the UK-India Education Research Initiative (UKIERI), on how urban India has provided a space for cross-cultural encounters with travellers, writers, artists and architects from around the world, to offer a ‘re-imagined view’ of the Indian city. The project seeks to further understanding of the crucial role played by Indian cities in negotiating contact between India, Europe, and the rest of the world. Focusing on four areas in particular, Goa, Kolkata, Pondicherry, and Chandigarh, the team will examine how the cities have functioned as a focus for cross-cultural exchanges from the sixteenth century to present day India, as well as how these exchanges have left socio-cultural marks on the identities of the region.